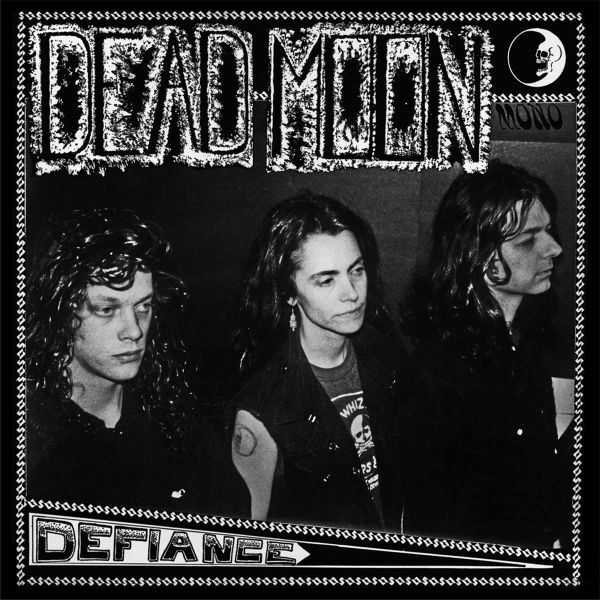 Available worldwide for the first time ever on compact disc, Mladys is extremely excited to announce the reissue of DEAD MOONs classic album from 1990, "Defiance". Repress. 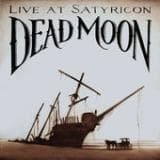 - Dead Moon's first record! Originally released in 1988. 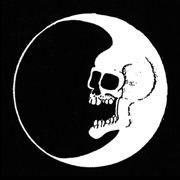 Dead Moon were a band that existed outside of the constraints that time & style usually impose on artists. An authentic mix of psychedelic rock, punk, blues, country, & every other American music worth a damn. This LP features all time classics such as "Graveyard" (A 13th Floor Elevators type vibrating psychedelic song), "Don't Burn The Fires" & "I Hate The Blues". Lo - fi as hell. Remastered from the original tapes. The inaugural release from our live archive series, Tales from the Grease Trap. Recorded at Portland's legendary club Satyricon on April 16, 1993, locked in a vault and mixed and mastered 22 years later. 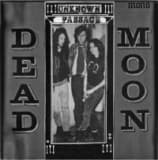 Featuring 14 blistering-hot tracks by Dead Moon at the absolute peak of their punk rock powers. Husband-and-wife team Fred and Toody Cole on guitar and bass, respectively. Andrew Loomis on drums. Recorded by Dean Fletcher. Mixed and mastered by Don Fury from the original 8-track recordings. 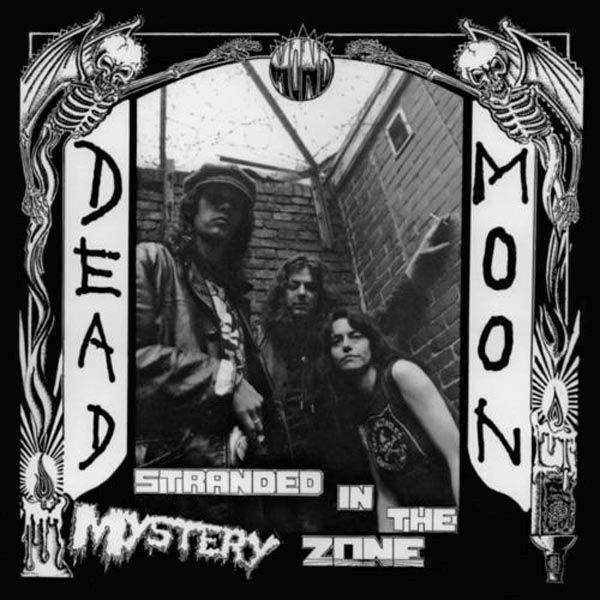 Available worldwide for the first time ever on compact disc, Mladys is extremely excited to announce the reissue of Dead Moons classic album from 1991, "Stranded in the Mystery Zone". 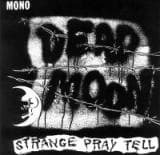 Available worldwide for the first time ever on compact disc in its newly remastered state, Mladys is extremely excited to announce the reissue of Dead Moons classic album from 1992, "Strange Pray Tell". Highly sought by rock n roll maniacs around the globe for its breathtaking songwriting and attitude, its also the fourth release in Mladys reissue series documenting many different timeless albums issued by Fred & Toody Cole (also of the Rats and Pierced Arrows). Repress. 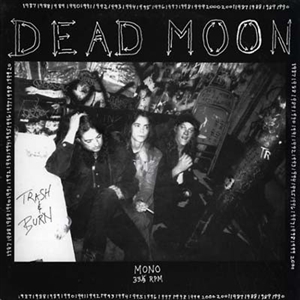 Dead Moon's 2nd LP. Great pop ballads sit side by side with heavy rock songs. A hit laden record featuring classics such as "Dead Moon Night", "A Miss Of You", "54/40 or Fight", "Time Has Come Today", "Demona", & "On My Own". Originally released in 1989, easily one of the top 4 rock records of all time. Remastered from the original tapes. 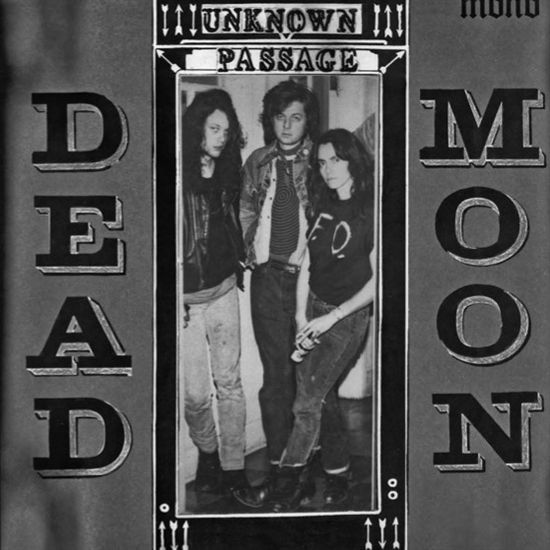 Available worldwide for the first time ever on compact disc, Mladys Records is extremely excited to announce the reissue of Dead Moons classic album from 1989, "Unknown Passage".Highly sought by rock n roll maniacs around the globe for its breathtaking songwriting and attitude, its also the second release in Mladys 2014 reissue series documenting different timeless albums issued by Fred & Toody Cole (also of the Rats and Pierced Arrows). On Volume 6 of "Tales from the Grease Trap," Voodoo Doughnut Recordings' series of live archival releases from early '90s Portland, Oregon, garage punk heroes, Dead Moon close down alegendary all-ages club. The night is August 16, 1994. A few songs into an already cathartic set, marked by the themes of an ending epoch and an inevitable changing-of-the-guards, Toody Cole remarks to the crowd, "What a way to see the old girl go!" The old girl is both the venue--the widely venerated, black velvet painting-decorated X-Ray Cafe--and the community it created, which helped spawn the careers of venerated Portland acts such as Quasi, The Dandy Warhols and Elliot Smith.In 1994, though, the year they released their seminal album Crack in the System, Dead Moon were without peers in the local music scene. 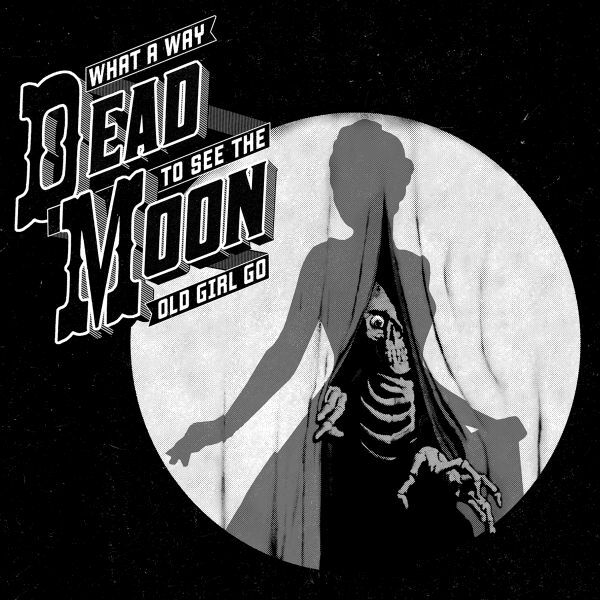 With husband-and-wife team Fred and Toody Cole onguitar and bass, respectively, and Andrew Loomis on drums, Dead Moon blended punk, garage rock and country into something new, raw, real and utterly their own. 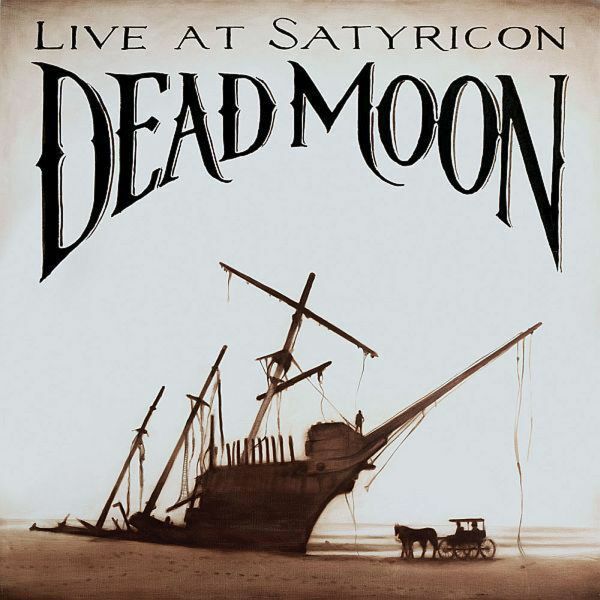 Here they are in the cauldron of creation, bidding a righteous farewell while rippingthrough new songs that would grow into anthems in the two decades of Dead Moon that followed. On Volume 6 of "Tales from the Grease Trap," Voodoo Doughnut Recordings' series of live archival releases from early '90s Portland, Oregon, garage punk heroes, Dead Moon close down alegendary all-ages club. The night is August 16, 1994. A few songs into an already cathartic set, marked by the themes of an ending epoch and an inevitable changing-of-the-guards, Toody Cole remarks to the crowd, "What a way to see the oldgirl go!" The old girl is both the venue--the widelyvenerated, black velvet painting-decorated X-Ray Cafe--and the community it created, which helped spawn the careers of venerated Portland acts such as Quasi, The Dandy Warhols and Elliot Smith.In 1994, though, the year they released their seminal album Crack in the System, Dead Moon were without peers in the local music scene. 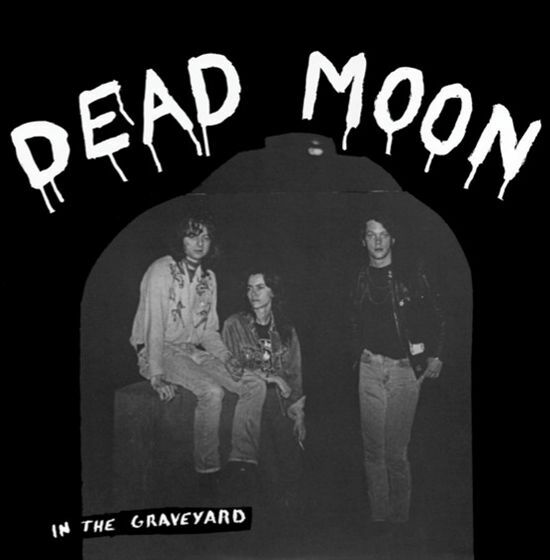 With husband-and-wife team Fred and Toody Cole onguitar and bass, respectively, and Andrew Loomis on drums, Dead Moon blended punk, garage rock and country into something new, raw, real and utterly their own. Here they are in the cauldron of creation, bidding a righteous farewell while rippingthrough new songs that would grow into anthems in the two decades of Dead Moon that followed.